IJOSH is the official journal of the Occupational Health and Safety Society of Nepal. Full-text articles are available online immediately upon publication. The journal is not affiliated to any publishing house. 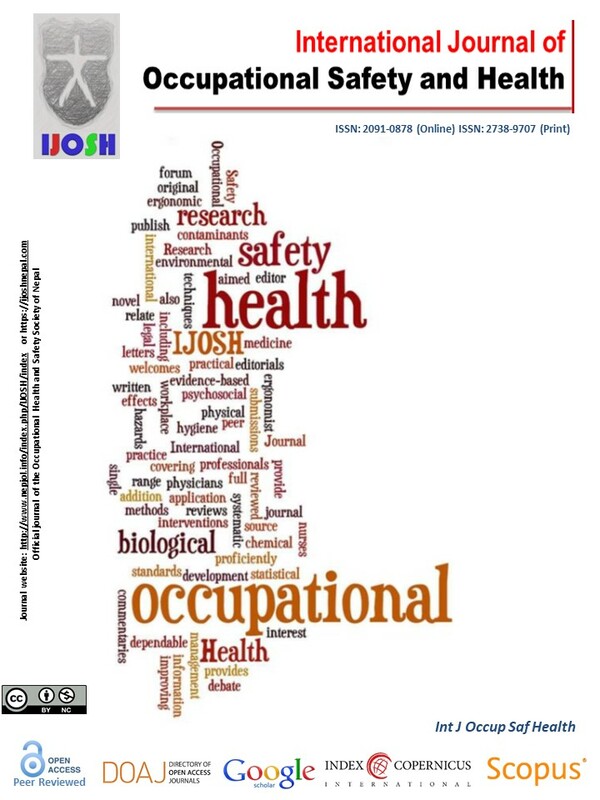 International Journal of Occupational Safety and Health (IJOSH) is an international peer-reviewed, open access journal covering occupational health and safety related disciplines. It provides occupational health physicians, doctors, nurses, engineers, ergonomists, and a wide range of occupational hygiene, health and safety professionals with a dependable single source of proficiently written legal, practical and management occupational health information. IJOSH welcomes original research submissions which relate to the full range of chemical, physical, ergonomic, biological and psychosocial hazards in the workplace and to environmental contaminants and their health effects and the safety standards and interventions. Research aimed at improving the evidence-based practice of occupational medicine and research on the development and application of novel methods, including biological and statistical techniques are also of interest. In addition, we publish systematic reviews, editorials, commentaries and letters to the editor, which provide a forum for debate. Please go through the Author guidelines carefully before submitting the manuscripts. In order to support the smooth operation, IJOSH is charging an article processing fee of US$ 40 (SAARC authors) and US$ 70 (other country authors) which is payable after the article is selected for publication.